Here we have gathered all the useful information and tools to help you plan your outdoor campaign as easily and effectively as possible. Visualise how your campaign is going to look like in the outdoor environment. Be inspired by our previous creative campaigns. Find out where our digital screens are located. Download pictures of our formats. 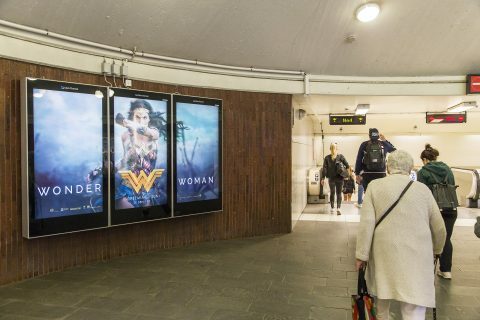 Create the perfect OOH campaign for target group in constant motion. You only have a few seconds to catch the attention of people passing by. Therefore, it is important that the message is simple and clear and that the sender is well presented. Photo and / or graphic elements are as important as words. Make sure that these items clarify the message and create a comprehensive impression. Use clear fonts. The text must be large and clear enough to be perceived at a distance. Be brief and clear in the message. 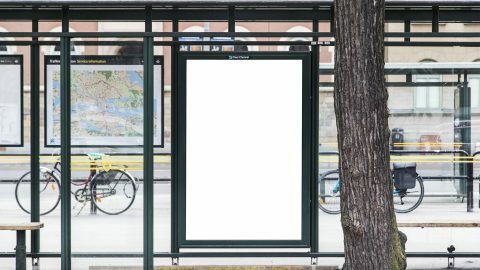 The most effective outdoor campaigns are the easiest to experience. Keep the text short and accurate. Present a clear message without ambiguity. Think about the colors! Some color combinations can reduce readability. Color usage should be customised according to your message. Less is more. Make it as easy as possible for the audience to understand the message. Focus on key visual elements. Combine media. Use integrated communication on multiple media platforms for increased campaign performance.Tips: The whole message should fit on a box of matches!